The unibody case of the systemONE is milled from a solid block of aluminium and only 20mm thick. 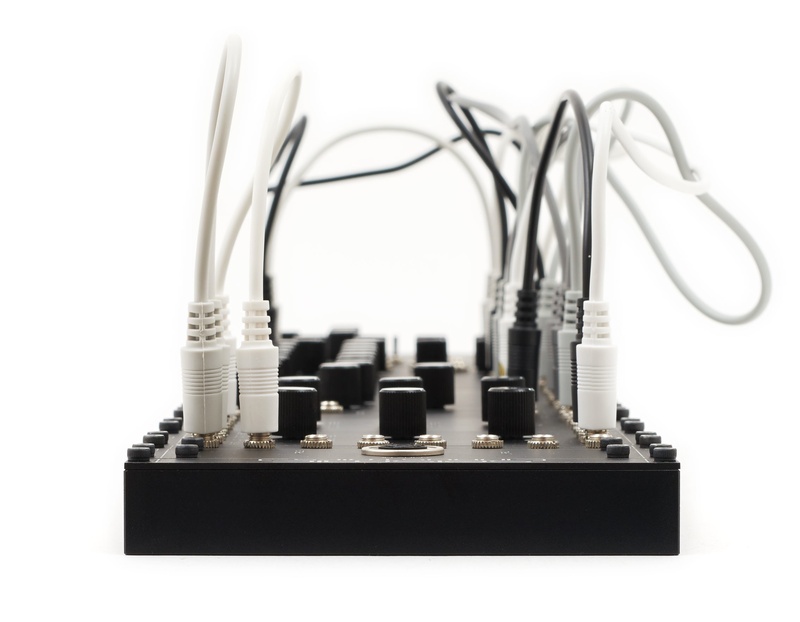 It’s called superSKIFF and is the flattest housing for a modularsynthesizer ever. Offering you modular freedom in a tabletop size. It is also part of the timeless and edgy look of the synth. By offering various modules you get the possibility to create the ONE synth you ever wanted. Mix and match from the portfolio. 126HP width awaiting your creativity! Extra pinheaders on each module allow them to be interconnected inside the superSKIFF. This unique feature allows to create whatever synth you like to have. The internal patches are fed from the normal contact of the jacks and are overridden by patching on the front. Listen to the modular heartbeat made with the systemONE. A slowly evolving ambient track. 4 tone sequence “subgated” by the div/n module which divisor is constantly altered by crossmodulated LFO’s. Phase offset output of the quadrature LFO modulates filter cutoff.